We build bespoke frames in our workshop with a huge range of high quality European-made mouldings to choose from, including real gold and silver leaf options. 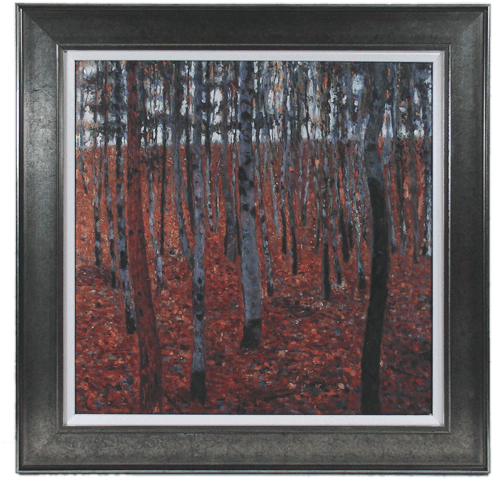 Many framers do not have a wide enough selection of mouldings suitable for oil paintings that require frames, which are typically quite distinct from photo or print frames. We also have a comprehensive range of handmade traditional English frames. These frames are made using gesso and bole and hand crafted for every unique order. There is a vast range of styles and frames can be finished in any colour.